How to combat the effects of air conditioning on your skin? How to use damask rose oil? How to Use Macadamia Seed Oil? How to Use Ostrich Oil? How to use cranberry seed oil? How to use green tea oil? How to use sesame oil? What should you do to reduce stress? You can’t deny the fact that time passes and your body changes. Your everyday health is very similar to the weather. As sunny or cold days come and go so do pains and aches and blisters and pimples. Your overall health though is an accumulation of a wide variety of factors including genetics, still, the lifestyle choices you make and chance causes more impact on your life in the long run. Certain factors that affect your health such as genetics are not under your control. But you can control your lifestyle choices such as the food you eat, the level of physical activity you include in your daily routine, and whether to smoke or not. Let’s discuss some of the health and skin concerns faced by women aged 25 to 29 years due to situations at the workplace and how to manage them. 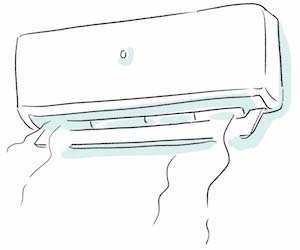 Air conditioners remove the moisture from the air of a room and in the process; your skin also loses its moisture. This may make your skin extremely dry. If you don’t keep your skin hydrated, the inner layers are affected, eventually leading to itchy and flaky skin. Due to air conditioning, the temperature is decreased to about 19 to 15 degrees Celsius. At this temperature, your body reduces the production of sweat, except at the palms, soles, and underarms. Due to this, the toxins are not excreted from the body. The oil production of the skin is also reduced, leading to unhealthy, dull and dehydrated skin. Ensure to remain hydrated by drinking a minimum of eight glasses of water every day. Moisturize your skin using a good quality moisturizer regularly. This helps in counteracting the drying effects of air-conditioning on the skin. Don’t use excessive soap on the skin areas that are dry. Use mild and gentle soap that contains glycerin as one of the ingredients. Don’t become dependent on air conditioners. If your office is air-conditioned, avoid using one at your home. Ensure to change the filter of your air-conditioner every four to six weeks. Argan oil contains omega 9 and omega 6 fatty acids. Both of these are essential nutrients, which protect the loss of moisture from the skin. This oil is also a rich source of vitamin E, a potent antioxidant, which helps in maintaining the moisture of the skin and fighting free radicals. Eliminate dry skin by exfoliating it using a nonabrasive tool such as an exfoliating sponge or a bath brush. 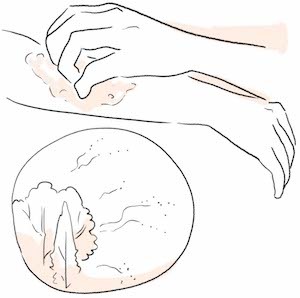 Use a body wash and exfoliate the dead skin from your body. This helps the body absorb more oil when you apply it. One of the best times to apply Argan oil is immediately after taking a shower. At this time your pores are open due to the effect of warm water. Just take some oil in your palms and gently massage it on to your face and body. Leave the oil on your body for about 5-10 minutes before putting on your clothes. You may also apply the oil before going to bed at night. Damask rose oil is the essential oil that is rich in antioxidants and is suitable for delicate and dry skin. You may add a few drops of damask rose oil in a carrier oil such as jasmine oil and apply it on your skin. You may also add a few drops of the oil to your lotion or cream and then apply that to your skin for hydrating and moisturizing your skin. A popular moisturizer that is used to soften skin and hair, it has antioxidant properties due to the presence of phenolic compounds in it. This helps in maintaining the general health of the skin and preventing issues of the skin such as dryness and itchiness. Take a couple of drops of olive oil on your palms and massage it on your face gently after cleansing your face. Massage it for a couple of minutes, leave for 10-15 minutes and then remove using a warm washcloth. Do this routine every evening. You can also make a nourishing face mask using olive oil. Mix equal amount of olive oil and coconut oil. Apply a generous amount of this mixture to your dry skin. This mask is super hydrating to dry skin. Mix olive oil with natural yogurt to create a hydrating and exfoliating mask. This mask work wonders for dehydrated and dry skin that requires exfoliation. Mix olive oil with honey and coffee beans (freshly ground). Honey in this mask has antibacterial properties and nourishes your skin, the coffee decreases water retention and makes your face appear slimmer and the olive oil hydrates the skin. Macadamia seed oil contains phytosterols and fatty acids. Fatty acids impart it anti-inflammatory and antioxidant properties due to which this oil is perfect for dryness of the skin. Phytosterols also heal and calm the dryness of skin. Cleanse your face, take 2-3 drops of macadamia seed oil on your palms and gently massage the oil on your face. Sweet almond oil is rich in unsaturated and polyunsaturated fatty acids and vitamin E and B. Massaging it gently after showering or bathing helps in reducing dryness of the skin. Massage sweet almond oil on your skin immediately after taking a shower. Put a couple of drops of the oil on your palms and gently massage it on your skin. Massage it for 5-6 minutes and leave for 10-15 minutes. You may also mix sweet almond oil with your lotion to make a moisturizer for dry skin. Lavender essential oil not only soothes your mind and body but also provides nourishment to your skin. It helps replenish the moisture of the skin and hydrates it. Mix a few drops of lavender oil with a carrier oil such as coconut oil and massage it gently on your skin for a few minutes before going to bed. Shea butter is an excellent natural remedy to combat the dryness of the skin. 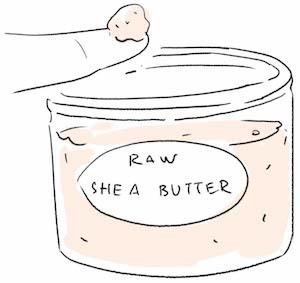 You should apply Shea butter immediately after a shower or bath to help preserve the moisture of your skin. Due to its thick and creamy consistency, Shea butter is an excellent replacement for petroleum-based products. It is absorbed by your skin easily and quickly and relieves the dryness of the skin. Take a pea-sized quantity of raw Shea butter in your hands and rub it between your palms. Then massage it gently on your face for a few minutes. You may also warm the Shea butter on low heat before applying it your skin. You can warm it by placing the jar in the sun or in a warm water bowl. Ostrich oil is a rich source of omega 3, 6 and 9 fatty acids and is easily and quickly absorbed into the skin. It is an excellent moisturizer and helps in combating the dryness of the skin. You may gently massage a few drops of ostrich oil before applying make-up in the morning. You can also apply it on your skin before going to bed during the night. Another natural ingredient that helps in combating the dryness of the skin is jojoba oil. The texture of this oil is very similar to sebum secreted by the sebaceous glands; hence, it acts as sebum and moisturizes your skin. Due to its emollient properties, it also maintains the hydration of the skin and moisturizes the skin. It prevents skin dryness as it forms a layer on the skin and traps moisture inside the skin. It is hypoallergenic. Take a few drops (up to six drops) of jojoba oil in your palms and massage the oil onto your face using small, circular movements. Leave the oil for some time. Don’t use more than 6 drops of oil at one time as more oil may make the appearance of skin greasy. You can also add jojoba oil to your moisturizer and apply it to your face to hydrate and moisturize your dry skin. As a young female working in the office, frequent tea breaks involve sugary and fried snacks, or junk and processed foods. You may also eat out frequently for breakfast, lunch, and dinner or rely on processed and quick foods for snacks and meals. Such foods are loaded with sugar and unhealthy fats (trans fats and saturated fats). Trans fat is the worst of all types of dietary fat and it does not have any health benefits. It is present in almost all types of fast foods from cookies to pastries and French fries. Consuming foods that are rich in trans fats raises the amount of bad cholesterol (LDL) and decreases the amount of good cholesterol (HDL) in your blood. Trans fat causes inflammation and is therefore linked to stroke, diabetes, heart disease, and other chronic illnesses. They lead to insulin resistance that makes you prone to develop diabetes type 2. Eating a diet that has a high amount of saturated fat raises your total blood cholesterol levels. It also increases your risk of developing blockages in the arteries in the body and in the heart. Eating a diet rich in sugar is a major cause of many chronic diseases including diabetes and obesity. Drinking sugar-sweetened beverages such as sodas, sweet teas, and juices result in weight gain. Eating high-sugar diets may increase your risk of heart disease, high triglyceride levels, and high blood pressure. It may also increase the risk of developing cancer. Eating excessive amounts of processed foods such as cakes and sugary beverages may increase your risk of developing depression. A diet rich in refined carbohydrates including sugary drinks and foods increases your risk of developing acne. Sugary foods increase your levels of blood sugar and insulin leading to increased androgen secretion, inflammation and oil production. All of these factors play a major role in the development of acne. Not eating enough fruits and leafy green vegetables in your diet may result in various types of mineral and vitamin deficiencies. 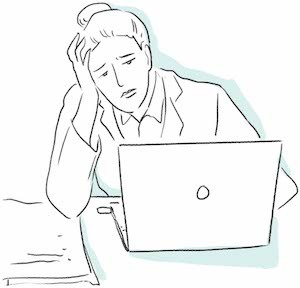 As a young female working in the office environment, you have a tendency to skip meals due to a busy work schedule, which can have negative effects on your health. Skipping meals often can lead to binge eating on the next meal, eventually resulting in weight gain. It reduces your metabolic rate, zaps your energy, raises your risk of diabetes and impairs your focus, memory, mood, and concentration. It may also lead to anemia, impairment of thyroid function, bone loss, reduced immunity and deterioration of the dental health in the long term. You should try to eat small meals at frequent intervals during the day. It helps to regulate your blood sugar levels and prevents weight gain. Acne occurs when the hair follicles clog due to oil and dead skin cells. Due to acne whiteheads, blackheads and pimples appear on your face, forehead, chest, shoulders and upper chest. The signs and symptoms of acne vary depending on the severity of your condition. The different lesions of acne may include whiteheads, blackheads, papules, pimples, nodules and cystic lesions. It is available as either over-the-counter anti-acne product (for instance, Clearasil) or by prescription (for instance, Benoxyl and Persagel). It targets bacteria present on the surface of the skin, which aggravate acne. A common adverse effect is dryness and irritation of the skin. Retin-A and Tazorac are available on prescription by a physician. They treat whiteheads and blackheads. A common adverse effect is an irritation of the skin. The retinoid that is taken orally (isotretinoin) is usually given to people who have severe acne. However, it has serious side effects, hence; it should be taken under the supervision of a physician. They are either applied topically (for instance, erythromycin and clindamycin) or taken orally (for instance, trimethoprim-sulfamethoxazole and tetracycline and its derivatives). They help in controlling surface bacteria and in reducing inflammation. Antibiotics produce better effects when they are given in combination with retinoids or benzoyl peroxide. Azelaic acid is naturally present in whole-grain cereals and animal products. It has antibacterial properties, which make it an effective acne treatment. 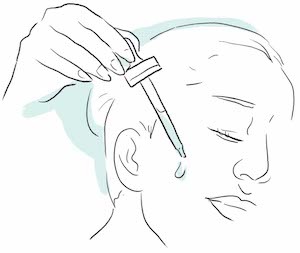 Salicylic acid helps in the prevention of clogging of hair follicles. It is helpful in some females with acne particularly those who have symptoms and signs of excessive male hormone (androgen). It consists of birth control pills (low dose progesterone and estrogen) or spironolactone (anti-androgen medicine). A wide variety of light-based therapies may be used to treat acne with some success. But, further research is required in this field. In this therapy, a chemical solution such as retinoic acid, salicylic acid or glycolic acid is used to peel off the superficial skin layers. Your doctor may use special tools to remove whiteheads and blackheads from your face. It is a very powerful essential oil that has antiseptic and anti-bacterial properties. It helps in calming the redness, inflammation, and irritation of acne. You can use damask rose oil as a skin toner or astringent by adding a couple of drops of it in cold water. Rinse your face using this water and it helps in closing your open pores and healing the lesions of acne. Grapeseed oil is rich in linoleic acid, which helps in improving acne. Due to the antioxidant properties, it helps in preventing clogging of skin pores. It also has anti-inflammatory properties; hence, it reduces the inflammation and redness that accompanies acne. Put 3 drops of Grapeseed oil on your clean face. Gently massage the oil on your face using your fingertips. Use a tissue to remove the excess oil from the face. Mix both the ingredients thoroughly and massage them on your face for about 30 seconds. Leave this mask on your face for about 5 minutes. Remove the mask using a wet washcloth. Rinse the face with lukewarm water. You can apply this facemask once a week. It is soothing and calming to your dry skin. This oil is helpful in treating acne by cleaning the clogged skin pores. Make sure to use a lesser amount on your skin – 1 or 2 drops is enough. Apply the oil using your fingertips and pat onto your face. Do not massage the oil into the skin as massaging can worsen irritation and inflammation, and cause more clogging of skin pores. You may use jojoba oil as a moisturizer in the morning and during the night before going to bed. You can also add 2 drops of jojoba oil to one drop of tea tree oil. This gives jojoba oil a refreshing and antibacterial boost. Jojoba oil is also useful as a cleanser. Apply 1-2 drops of the oil to your clean face and massage it gently, paying special attention to areas which have clogged pores such as the area around the nose. Remove the oil using a warm washcloth after 30 seconds. It has antibacterial and anti-inflammatory properties, which makes it an effective natural remedy in preventing acne. You may use olive oil as a cleanser to open the clogged pores. Take some oil on your palm and apply it on your face. Massage it gently on the face for a few minutes. Let it sit on your skin for about 30 seconds to one minute. Wipe the oil using a warmwash cloth. You can do this routine of cleansing once per day. Argan oil helps in regulating the production of sebum or oil by the sebaceous glands in the skin. Hence, it may help to treat acne. It also has anti-inflammatory properties that help in reducing inflammation accompanying acne. After cleansing your face using a mild cleanser, gently massage a couple of drops of Argan oil to your neck and face areas. You can apply the oil both in the morning and during the night before going to bed. You can also apply it 2-3 minutes before using makeup. Cranberry seed oil prevents and treats acne by controlling the production of excess sebum. Put two to four drops of cranberry seed oil in the palms of your hands and gently massage the oil on your face. Place a bowl of fruit at your desk: Make sure to keep it fully stocked. 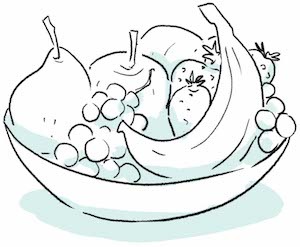 The more color and variety you have in your fruit bowl the better it is. 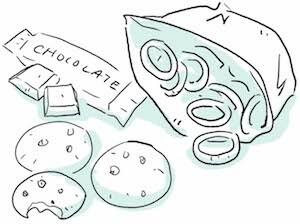 Stock low-calorie snacks that last for a week: Instead of snacking on junk and processed foods, try to eat low-calorie snacks such as nuts, crackers, low-fat cheese, fresh fruits, and vegetables etc. Plan and cook your lunches in advance: Every weekend, pre-plan low-calorie healthy lunches for the coming week, shop, cook and freeze them. Salads, sandwiches and leftover dinner are good choices for lunch. If you carry satisfying and healthy lunches with you, then the chances of eating junk food at work become very less. You should also plan your dinner in advance and preferably cook it yourself. This way you will avoid the temptation to eat out. Replace the habit to visit the vending machine with a new habit: When you get a desire to drink a sugar-sweetened beverage such as coffee or soda, instead of going to the vending machine, visit a coworker or go for a brisk walk for five minutes. Include lots of fresh leafy green vegetables and fruits in your diet: When you get the desire to eat snacks in between meals grab some fresh fruits and eat them as a snack. Drink plenty of water: Drink a minimum of eight glasses of water each day. Water not only removes the toxins from your body but also kills the cravings you have for junk foods. It also increases your rate of metabolism. Excessive exposure to the sun leads to the development of aging of the skin, cancer of skin immune suppression and diseases of the eyes such as macular degeneration and cataracts. Though these changes due to sun exposure may not be so apparent while you are young, they will show during the later stages of your life. The changes to your skin caused by excessive sun exposure are coarse and fine wrinkles, freckles, yellow discoloration of the skin, hyperpigmentation of the skin, destruction of collagen and elastin tissues (that result in lines, sagging skin, and wrinkles) and dilatation of the small blood vessels beneath the skin. When you travel between the outdoor hot environment into the cool air-conditioned office or vice a versa there is a sudden temperature change. This temperature change causes extreme stress to your body and skin. This may make you intolerant of the hot summer temperatures. Furthermore, this reduces the ability of your skin to regenerate and causes premature aging of your skin. Exposure to dust and external pollutants from the outside environment can also cause premature aging of your skin and result in fatigued and dull skin. A wide variety of air pollutants including ultraviolet radiation, oxides, volatile organic compounds, polycyclic aromatic hydrocarbons, ozone, cigarette smoke, and particulate matter have a detrimental effect on the skin. 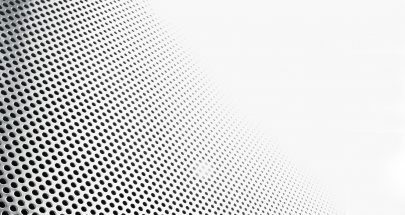 These air pollutants damage your skin by causing oxidative stress. Dust and air pollutants are present constantly and these particles are small enough to enter your skin resulting in premature aging of the skin. During this phase of life, you tend to travel a lot either for leisure or for work. Travel may take you out either in your own country or to foreign countries and this puts you at risk of developing diseases due to exposure to ultraviolet rays of the sun or to a different climate of other countries. You may also take medicine to delay your periods for travel, which may have side effects on your health. Long-term exposure to the harmful ultraviolet rays of the sun may result in premature aging of your skin, immune suppression and eye diseases like cataracts and macular degeneration. You may develop fine and coarse wrinkles on your skin, hyperpigmentation of the skin, and dilatation of small blood vessels underneath the skin. Traveling to countries with different climate can put stress on your mind and body in certain unexpected ways. If you travel to higher mountain peaks, your body may take three months to physiologically change by increasing the total number of RBCs (red blood cells) to carry more oxygen in the blood. Traveling to countries with very hot climate may result in dehydration of the body and skin. You should take care to drink enough water to remain hydrated and take precautions while going outdoors. A simple solution while going outdoors in countries with very hot sun rays is to wear a hat and lightweight, long-sleeved clothes. Also, take breaks in between in cool areas such as in rooms with air conditioning. Similarly, traveling to countries, which have distinct kind of trees and vegetation that are more allergenic may trigger allergies in some women. This especially happens in women who are prone to allergies and have diseases such as eczema, asthma etc. If you are traveling to high-allergy areas, then take certain steps to prevent allergies such as shower before going to bed and use an air conditioner. Traveling to smoggy and polluted cities may also cause problems such as a cough, chest tightness and burning in nose and eyes in some females. In such cities, to reduce the bad effects of pollution, you should prefer indoor workouts instead of outdoor jogs. You should also live in an air-conditioned environment. You are in your twenties and your life is full of new dates, jobs, and parties. And you don’t have any time to sleep. 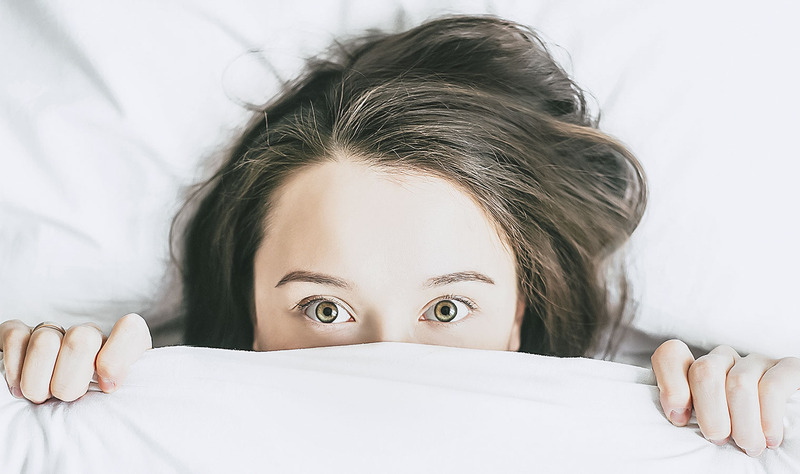 Unfortunately, insufficient sleep may affect your health in the long term. Getting less than six hours of sleep every night can increase your risk of getting diabetes, stroke or heart disease. It also increases your blood pressure and weakens your immune system over time. Lack of sleep on a regular basis suppresses the reproductive hormones; thereby, impairing your ability to get pregnant. It also leads to weight gain and promotes premature aging of your skin. When you develop symptoms due to acute or chronic stress such as anxiety, depression, insomnia etc. you may need medicine to control these symptoms. There are different kinds of medicines that are used to treat symptoms of stress such as benzodiazepines, SSRI antidepressants etc. But these provide temporary relief. Furthermore, they also have side effects and there may be safety concerns, some of which are significant. Benzodiazepines are the commonly prescribed sedatives that slow down the activity of the brain and produce a sense of relaxation, sleepiness, reduced breathing, anxiety, and tension. These include alprazolam, clonazepam, diazepam, lorazepam, temazepam etc. But they result in physical dependence when taken for a long duration. Some of the common side effects of these drugs are drowsiness, dizziness, memory problems, poor coordination or memory, confusion, slurred speech, stomach upset, headache, blurred vision, and trouble concentrating. Furthermore, they can worsen any pre-existing depression and increase suicidal feelings and thoughts. Another class of medicines that are used for stress relief is the SSRIs, which include Prozac, Lexapro, and Paxil. Some of the common adverse effects of these medicines are fatigue, nausea, insomnia, agitation, sexual dysfunction, drowsiness, nervousness, weight gain, diarrhoea, headaches, increased sweating and dryness of mouth. Though physical dependence does not develop quickly with these medicines, withdrawal symptoms may occur when they are discontinued very quickly. Some of the withdrawal symptoms that may occur are extreme fatigue and depression, anxiety, irritability, insomnia, and flu-like symptoms. In some people, beta blockers such as Tenormin and Inderal are given to reduce symptoms of stress. Some of the common side effects of beta blockers are tiredness, cold feet and hands, dizziness, sleepiness, nausea, headache, weakness, constipation, and diarrhoea. Your skin may age prematurely due to the above-mentioned factors (work travel, sleep problems and stress). They appear on areas, which are excessively exposed to the sun such as the back of the hands. As the skin loses its moisture, and collagen and elastin, it develops fine lines and wrinkles. These particularly appear on the areas of the face, which move the most such as the mouth and eyes. 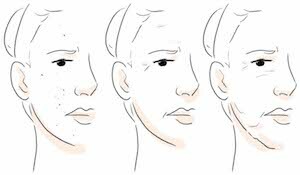 You may also develop sagging skin as one of the signs of premature aging of skin due to loss of collagen and elastin. Due to its antioxidant properties, olive oil may prevent premature aging of the skin. You should massage olive oil gently for a couple of minutes on the affected areas of the skin at night before going to bed. Leave the oil overnight and wash it with lukewarm water in the morning. Mix ¼ tsp of fresh lemon juice with 1-2 tsp of olive oil. Massage this mixture on your face for a couple of minutes. This improves circulation of blood and rejuvenates the skin. Mix a few drops each of glycerin, honey and olive oil. Massage this mixture gently on the affected area for 5-8 minutes. Wipe it with a warm washcloth and then rinse with lukewarm water. This also improves blood circulation and tightens the sagged facial skin. Coconut oil hydrates and moisturizes your skin. It helps in restoring your skin’s elasticity. Hence, its regular use helps in reducing fine lines and wrinkles. Take a couple of drops of coconut oil on your palms and massage it on your clean face in gentle circular motion for 3-5 minutes. Leave it overnight. Repeat the process every night before going to sleep. Green tea oil contains potent antioxidants from flavonoids, gallates, and catechins that help in protecting your skin from the damage caused by the harmful ultraviolet radiation and environmental free radicals. These also help to rejuvenate and repair collagen, thus reducing fine lines and wrinkles on your face. They also help to improve the resiliency of your skin. Apply a few drops of green tea oil on your clean face gently. You may also mix a few drops of the oil into a carrier oil such as coconut oil. Use a few drops of the mixture and massage it onto your skin for a couple of minutes. Argan oil contains essential fatty acids and vitamin E. Massaging it regularly on your face reduces premature signs of aging including fine lines and wrinkles. Heat the oil until it becomes slightly warm. Clean your face using a damp, warm cloth. Argan oil gets absorbed better on damp skin. Take a couple of drops of slightly hot oil and massage it gently on your face in circular motion. Take special care to massage areas that have fine lines and wrinkles. It has antioxidant properties and acts as a lubricant. It protects the skin from premature aging and wrinkling. 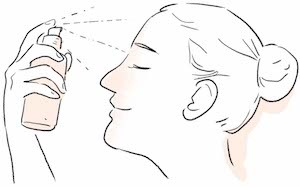 Take a few drops of the oil in your palms and massage it gently into your face using a circular motion. Leave it overnight. Avoid using more than 6 drops of oil at one time. You may also add a couple of drops of the oil to your moisturizer and apply that to your face. Grapeseed oil is a rich source of polyphenols, fatty acids, and vitamin E. It helps in tightening your skin and reducing fine lines and wrinkles. Take a few drops of Grapeseed oil in the palms of your hand and massage it gently on your face. You may also mix a couple of drops of the oil with your moisturizer and apply that to your face. Macadamia seed oil slows the signs of premature aging of the skin and reduces the appearance of fine lines and wrinkles. Take a couple of drops of macadamia seed oil on the palms of your hand and massage it gently on your clean face for a few minutes. Sunflower oil has antioxidant properties due to which it helps in preventing the premature signs of aging of skin such as fine lines and wrinkles. It acts as a natural emollient and keeps your skin moisturized and hydrated. You should not apply sunflower to dry skin, instead, it should be applied only on warm and damp skin to facilitate its absorption. Hence, you should apply it immediately after taking a bath or shower. You may also add a few drops of the oil to your cream or moisturizer and apply that to your face. Almond oil is a rich source of antioxidants like vitamin E that help in fighting wrinkles and fine lines by combating the degradation of collagen fibers of the skin. You can massage a few drops of sweet almond oil onto your skin gently. 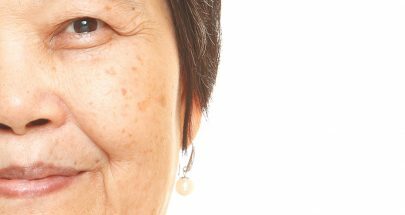 Focus on areas that are prone to wrinkles such as the skin around the mouth and the eyes. You can do the massage before applying makeup or before going to bed at night. Hyperpigmentation means darkening of your skin. 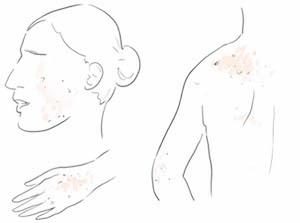 It may affect small areas of your skin, cover large areas of the skin or affect your whole body. It occurs due to increased production of the pigment melanin present in the skin. You may treat hyperpigmentation by using lightening creams, face acids, retinoids, chemical peels, skin resurfacing (laser peel), Intense pulse light therapy (IPL), Microdermabrasion or dermabrasion. Green tea inhibits the activity of enzyme tyrosinase; thereby, reducing hyperpigmentation. Put a couple of drops of green tea oil on a swab of cotton and apply it gently to the hyperpigmented areas. Leave the oil for about 10 minutes. Then rinse with lukewarm water. You may also mix a few drops of the oil with a carrier oil such as coconut oil and then massage it to the affected areas after taking a shower or bath. This oil is a rich source of various antioxidants such as vitamin E.
Regularly exfoliate your skin with Argan oil and brown sugar mixture. It helps in the removal of dead skin cells. This reduces the appearance of dark spots and wrinkles from the skin. You can also massage a few drops of Argan oil on your clean and slightly damp skin once or two times per day. 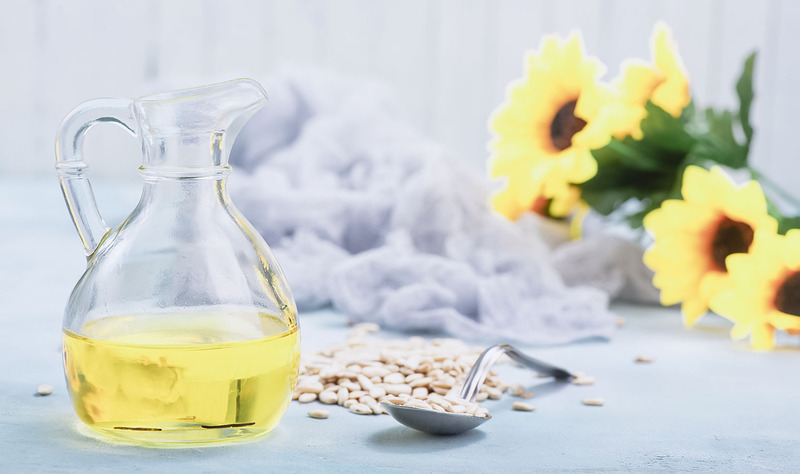 Sesame oil is rich in antioxidants such as sesamin oils, sesamolin, and sesamol. It is also a rich source of vitamin E. All of these ingredients help in fighting free radical damage and preventing sun damage. Massaging regularly with sesame oil lightens the dark spots of the skin. Apply few drops of sesame oil on the affected areas and massage it gently. You may also mix one tbsp of sesame oil with a tsp of sweet almond oil and a tsp of aloe vera gel in a bowl. Apply this mixture on your face and massage it gently in circular motion. Leave it for 30 minutes. Then wash it with lukewarm water. Jojoba oil is a rich source of vitamin E that acts as a potent antioxidant. It prevents the appearance of dark spots on your skin. Mix 4 tbsp of jojoba oil with ½ tsp of licorice root extract in a clean bottle. Put a tight lid on the bottle and shake the mixture thoroughly. Store the bottle in a dry and cool place for one month. Put a small amount of the mixture on a cotton swab and apply it over the clean face. Leave the mixture for about 45 minutes. Rinse with lukewarm water. You may use this remedy once a day. It helps in lightening the dark spots and hyperpigmentation of your skin. Combine 2 tbsp of evening primrose oil, 2 tbsp of Argan oil, 8 drops of lemon essential oil, 5 drops of carrot seed essential oil and 8 drops of lavender essential oil in a small bottle. Gently roll the bottle to mix the oils together. Put 2-3 drops of the mixture in the palms of your hands and massage it on your clean face. You may use it two times a day. Practice stress-reducing techniques such as yoga, meditation, breathing exercises etc. to calm your mind and body. Remain physically active on most days of the week. 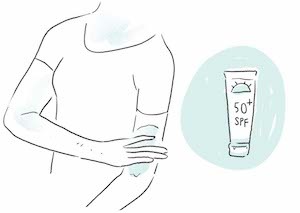 Always apply a broad spectrum sunscreen of SPF of at least 30 or more containing zinc oxide or titanium oxide while going out in the sun. Make sure to reapply sunscreen after every two hours. You may use natural measures to prevent excessive exposure to the sun such as wearing a wide-brimmed hat, wearing clothes that are designed especially to protect from the sun and using an umbrella while in the sun etc. Broken and dilated blood vessels are also referred to as spider veins and they occur due to dilatation and enlargement of small blood vessels present just under the skin. This leads to the appearance of small, red lines spreading in a web-shaped form. Additionally, spider veins may develop due to excessive exposure to the rays of the sun, exposure to environmental pollution and weather changes. Topical creams particularly those that contain retinoids may help in reducing spider veins. Retinoids remove the outermost skin layer. Laser therapy uses strong laser beams and fades the spider veins completely by destroying the veins that are functioning poorly. 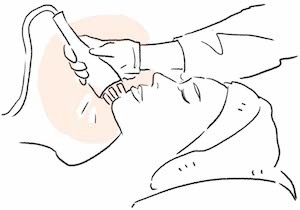 In this treatment, a concept similar to laser therapy is used but the light penetrates the second layer of the skin and doesn’t harm the outermost layer of the skin. It is an injection-based therapy, in which your physician injects a solution in the broken veins that closes them. This reroutes the blood to veins that aren’t visible. The spider veins become less noticeable within a couple of weeks of treatment. Apply ACV with a cotton swab daily in place of your regular astringent or toner. Apply preparations made from horse chestnut bark on areas of the face that have spider veins. Since blood vessels may break due to heat; hence, avoid washing your face with hot water. Take showers and baths in warm water. Wash your face with lukewarm water gently. While you are working in the office, you are sitting for a long duration, which can have detrimental effects on your health. Furthermore, it is quite possible that due to your busy work schedule you don’t have enough time to exercise. Hence, you may have ‘sitting disease’, which is a phrase used for a sedentary lifestyle that may be placing your health at risk. Research shows that due to a long duration of physical inactivity you increase your risk of developing cancer, obesity, diabetes and heart disease. 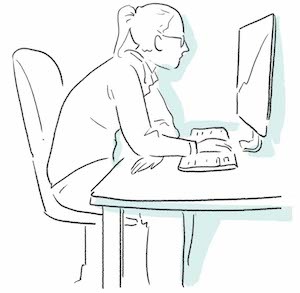 In the year 2010, British researchers linked long duration of sitting to an increased likelihood of various illnesses such as anxiety, depression, elevated levels of blood cholesterol and high blood pressure. NEAT refers to non-exercise activity thermogenesis and it includes turning, bending and stretching. In fact, you should aim for 10 minutes of NEAT every hour. Stretch your cramped muscles and your whole body. After doing it five times every day, you will start noticing a difference. Instead of keeping only your lunch time for working out, be physically active the whole day. Use the stairs rather than using the elevator; take a break every hour and walk up to the coffee machine. 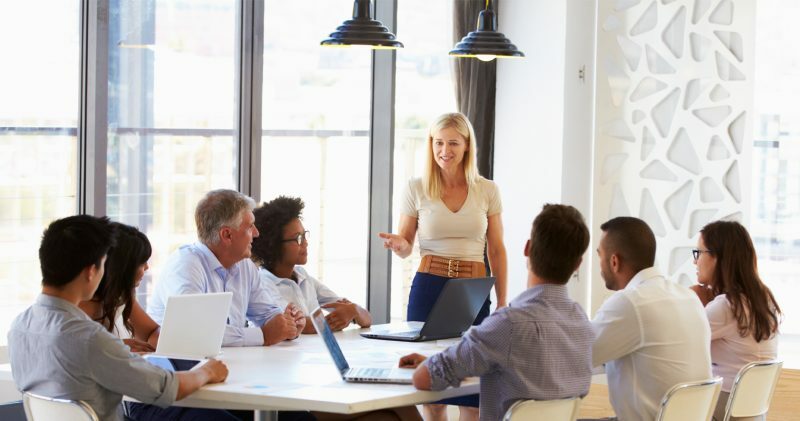 If you have a question for your colleague who sits down the hall, then instead of shooting them an email, walk to their cubicle and talk to them face to face. Standing burns more calories in comparison to sitting. Hence, stand more often such as while talking on the telephone. Give your company ideas to help its employees to be more active physically. These can be moving dustbins out of the cubicles so that people have to walk out to throw garbage or having water coolers or coffee machines by the windows where employees have to walk and go for water or coffee. Generally, you lose your energy as the day ends. But if do a brisk walk for 15 minutes during the afternoon, your productivity is increased in the last two hours of the day. If you commute by a train or bus, stand up during the journey or do exercises such as relaxing and clenching your muscles or you may get off from the bus or train a stop early and walk. If you are commuting by car, find a parking spot that is some distance away from your office so that you can walk for some time both morning and evening. 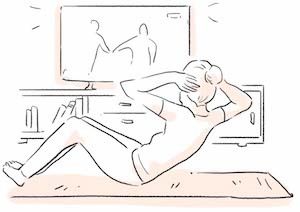 Walk on a treadmill while watching television in the evening. If you don’t have a treadmill then you can march in place. You may also tidy your room at this time. The medicine that is commonly taken to delay periods is norethisterone. Like all other medicines, it also has certain side effects. Another method to delay your periods is to consume three to four teaspoons of apple cider vinegar mixed in a glass of water two to three times per day. This can postpone your periods for up to three to four days. Start drinking it a week before your due date. Mix a pack of gelatin in hot water and drink it. It can delay your period for up to four to five hours.